Other people forget to fertilize then overdo it with one big dose of plant food after months and months with none. Too much at one time can be worse than not fertilizing at all. This applies to houseplants as well as in-ground trees, shrubs and flowers. If you think you have over- or under-fertilized your plants, come in to either of our stores to find out ways to deal with problems that may have occurred. Different plants need different types of fertilizers. 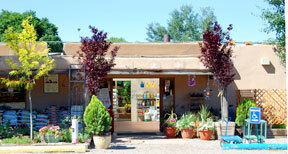 Stop by either of our locatinos and ask our gardening experts. They will be happy to help you determine which fertilizer(s) are best for you. For more information about fertilizing click here and learn more about how to choose the right fertilizer.